“Wonder Woman!” Can you hear me sing? 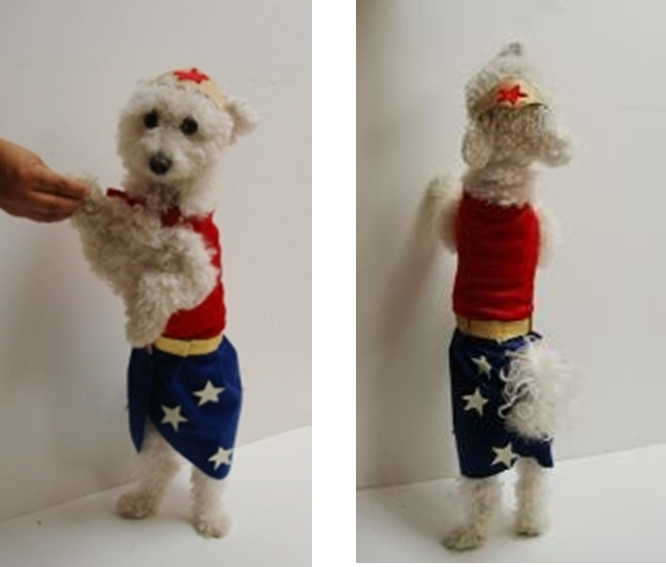 My friend Silvia created this awesome Wonder Woman costume for me to wear on Halloween. It was done in no time and it’s really easy to make. My mom took 4 measurements: A–from my neck to my tail; B–midpoint between my neck and my tail; C–around my belly; D–a T intersecting the measurement between the top of my front legs and the measurement from my neck to that line and drew a line where the cut outs should be for my legs. 12) The work day begins! Let’s go catch bad guys! 13) I’m getting ready to take off flying! 14) Stand up to be ready for anything! 15) I think I see a bad guy up on the roof! 16) Recount the day. It was a good one! Now let’s go out trick-or-treating! 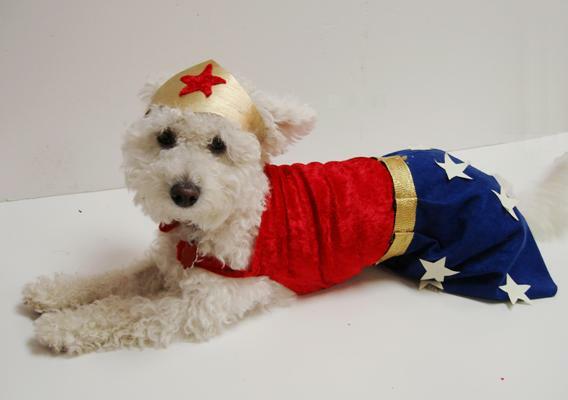 This entry was posted on October 28, 2008 at 2:01 pm and is filed under costumes for halloween, Halloween Dog Costumes You Can Make!. You can follow any responses to this entry through the RSS 2.0 feed. You can leave a response, or trackback from your own site. 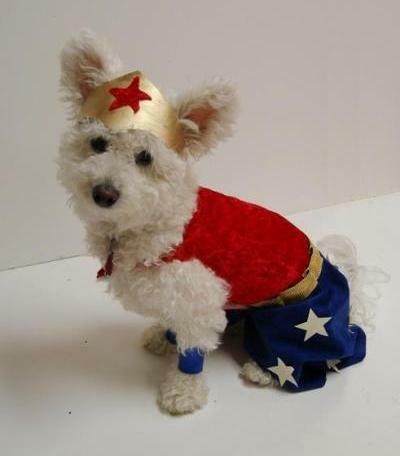 The wonder woman costume is definitely my favorite! I have to go save the world! I’ll catch up with you when I get back! What a cutie! I love the costume! Niqqi, or should I say Wonder Puppy! Thanks for a great costume. Are you going to save Dewey from scary Halloween monsters?